Given all of the jokes and horror stories out there about family trips and traveling with kids, I think we all know that it isn’t an easy process. Now add in special needs and well you have a horror comedy in the making. Recently we decided to relax over spring break by taking a trip cross country to visit my parents. The decision was the easy part. Given work constraints it wasn’t even hard to figure out when we’d leave and when we’d come home although we did have to do a little weather forecast obsessing to make sure we weren’t going to get caught in some super spring blizzard. We even found a pet/house sitter with relative ease. The plans were set and it was time for the packing to begin. I should preface this by saying that I am a bit obsessive compulsive about my packing piles and packing strategies. There is a place for everything and I need it in that e-x-a-c-t spot. I also need to be prepared for every possible scenario while meeting my husband’s need for everything to actually fit into the van (he gets a little touchy when a u-haul trailer is required for some reason or another). Packing is simple: I put everyone’s clothes into their respective piles. One suitcase is packed with nightclothes and a change of clothes for us to take into the hotel with us for our overnight stay at the halfway point; this suitcase also has a waterproof duffle bag filled with swim suits just in case the hotel has a pool. Then the rest of the clothes go into a big suitcase. Each child is allowed to pack their own bag of goodies while I pack an emergency bag that would probably rival those that military medics have (remember I have two kids with very unique and complicated medical conditions; trust me if it can happen, it has happened on one trip or another). Each child has a file folder type container for medications and I make sure we have power cords for all electronics. Easy peasy, right? Ry’s bag is predictable. She has her zebra print blanket and pillow pet, her kindle reader, her ipad, and her cellphone. Sometimes she throws in make-up and some hair products. This is pretty much the same bag she packs for the hospital, for overnight trips, or for long travels. Then there’s Caden. This is where things start to get interesting. Let’s face it. He has two obsessions right now: rocks and Super Mario. Consequently he wanted to pack every rock that he has (honestly I’m not sure there are any left on the playground at his school or anywhere around town) and then he started on the Mario collection. Of course he needed his Mario cards and his Mario slippers and his Mario pets (the e-n-t-i-r-e collection of both plush and molded plastic), his Mario sweatshirt, his entire stack of Mario shirts and pjs, and even his Mario underwear. Then he remember that he likes books so he picked out the entire Judy Blume Fudge series to take with us even though we’d only be gone a week and we only read a few pages out of each chapter at night. Of course he couldn’t pick between just one pillow pet and he needed his fleece blanket. All blankies had to travel because they would get lonely if he just took one. His notebook needed to go along just in case something important happened and it was a necessity to pack his ipad and Nintendo 3DS. Every once in a while he found a few more rocks to pack. Then he found some Mario and Angry Bird puzzles that he had to take along which set off the need to find his collection of Angry Bird Mash-ems and pack those as well. Of course we couldn’t leave home without his backpack alien and its baby and what trip would be complete without empty toilet paper rolls. Meanwhile his obsession set off my need to be prepared for anything and everything so I added in more clothing—we were packed for spring, summer, fall, and sub-zero winter temperatures. Then I figured we had better take a laptop “just in case” and it only made sense to pack snacks and drinks and crayons and construction paper because well I saw them in the closet on my way by. Hey if the kids were taking blankets and pillow pets I wanted mine too so those were added to the pile. And what if the shoes I were wearing turned out to be uncomfortable after all these months so some extra shoes went into the pile as well. Thankfully somewhere along the line my husband remembered the service dog also needed to travel with us so we packed his bag, bed, and bone and carved out a spot for him to lay although we were all thankful that he isn’t the slightest bit claustrophobic. By the time we had packed the van, the roof top carrier was full as was just about every available spot in the van. We crammed everyone in and headed out. Now on the trip there I’m proud to say that Caden’s medication for his chronic constipation worked quite well and I don’t think we missed a rest stop between Minnesota and Ohio. As predicted thanks to the autonomic dysfunction, Ry was quite car sick and the forecast was totally and completely wrong. We drove through rain, freezing rain, and even snow and high winds. We melted down at every gas station that didn’t have one of those blasted quarter junk machines and I even talked Dan into stopping at the Nike Outlet so that I could get Caden new shoes and pick up a most unnecessary pair for Ryley to prevent the “it’s not fair” arguments that seem to echo in the van. We made it to Ohio and had an awesome adventure with my parents. Of course my parents being the grandparents that they are loaded the kids up with presents and I may have done a little birthday shopping with my mom. None of this would have been a big deal except that we had to repack the van for the return trip home. As you know from your own experiences the trip home is never as much fun as the trip going on vacation. The kids were grumpy, Ryley was miserable and spent most of the trip with her eye and face swelling from some yet to be determined condition. Caden had hit his limit of no wi-fi and his videos were getting “boring.” Insult to injury, a large snow storm headed into the (one we didn’t even see on radar until we were on the road again on Saturday) area. We cancelled our first hotel reservation determined to get ahead of the storm by driving a few hours further than anticipated. Eventually we realized that we might as well drive all the way home; so we went from Ohio to Minnesota (13.5 hours but who is counting, right?) with 2 grouchy kids and one hungry service dog in one day (hungry because we can’t feed him in a moving car unless we want a whole other mess to deal with). I survived the last few hours of the trip by dreaming of a fairy who will be waiting at our house to put all of this stuff away and maybe prep my classes for Monday. Oh and did I mention that we are going to drive 3 hours round trip on Monday to pick up a puppy that we are hoping to train into a service dog for Ryley? And there’s a sleep study coming up this week and the day before Easter is an in-hospital infusion day for both kids. Ah relaxing vacations; what would we do without them! This year was one of those milestone birthdays for me; honestly I have been dreading it for the last year. It’s just another day that starts just another year that doesn’t warrant the dread, fear, and even depression that it has been evoking in me. Left with no other coping mechanisms I decided to think back to the age that I’d like to be instead. The answer rather surprised me. Given what I am watching my pre-teenager face in school in terms of state tests, how social media has advanced the power of rumors, and the continual presence of bullying and peer pressure, I quickly decided that I didn’t want to go back to that age again. My twenties were an interesting time. I have always loved learning so college was fun. I learned about living with others, managing my own time and money, and how difficult life can really be when you are out on your own. Looking back though I realize that with mom and dad paying my bills and keeping the front door unlocked for me, I wasn’t really all that independent. I had my heart broken a few times (or so I thought) and I declared just about every major that my college offered. A major heartache led to a college transfer—I was going from a main campus to a *gasp* branch college for a year; I was convinced this was the most humiliation that I would ever face. It was there though that I met my future husband and finally declared a major that I would keep through graduation. Shortly after marriage we headed off to Dayton and while I never really enjoyed it, I learned to do a few more things for myself although my parents were still close enough to call in times of disaster. Moving back home I was able to finish my undergraduate degree and then we purchased our first home. It was the ultimate money pit but I learned so much about home ownership in that home and was able to start amassing my collection of stray cats and dogs. I remember thinking though as we signed our mortgage paperwork that I was truly living on my own because *gasp* my parents were a long distance phone call away. As my marriage was falling apart, I completed my master’s degree and then my doctoral degree and yet I remember thinking that I had truly hit rock bottom. I had allowed my daughter to become a statistic and honestly I felt like a true failure. I didn’t realize how precious it was that I had my parents to care for my daughter or what a special bond that they were forming while I was putting the hours in finishing school. It was only after I took a job out of state that I realized how much they had done for Ry and I and how little I really knew about living on my own, being an adult, or living on my own. When we moved I purchased a condo. Between my animals and Ry’s medical needs, I needed a place of my own rather than a rental. I thought owning a place of my own was really independent until I had to call my dad to figure out who you call when your washing machine breaks. Or when I called my mom to come stay with me because I had a stalker and couldn’t get my locks changed right away. During the day I played adult; I dropped my daughter off at daycare, went to my first real job, bought groceries, and cleaned house. At night I cried over how little I really knew about being an adult and wondered how I would ever make it on my own. I hadn’t ever driven in city traffic and still don’t know how I made it to that downtown Children’s hospital on my own the first time. Then it became routine as did emergency room trips in the middle of the night with just me and my ever so sick daughter. I don’t think I ever really realized it but I was growing up as a person and as a parent. Getting remarried was both an exciting and terrifying point in my life. I knew my future husband adored my daughter, but I worried that he wouldn’t find her as adorable asking for soy milk in the middle of every night or my cats as endearing when he couldn’t find a sweater that wasn’t hair covered. Yet the first night we stayed in his home, he ran out in the middle of the night for popsicles because those were the only things that helped a bit with Ry’s night cough. He repainted his guest bedroom pink and purple for her and moved his music equipment to one side of his studio so the other side could be a playroom. He even found a sunny spot for the cat scratcher. While I was certainly appreciative, I didn’t realize at the time what a big deal this all really was. 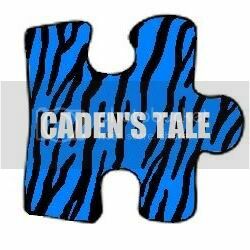 Caden’s diagnosis of autism was one of those turning points in our marriage; we could have fallen apart. We could have blamed each other. We could have dealt with our feelings alone. Instead we held hands and made the decision to move back to Kentucky close to an autism center. While the resources didn’t quite work out the way we had hoped and I initially felt that the entire move was a waste, we learned to rely on each other during that year. That move also made it slightly easier to move all the way to Minnesota with our kids and animals. That was and is the farthest I have ever lived from my parents and in retrospect I realize how much I always relied on them and what a moral support they were for me. I am homesick each and every day but at the same time this move has taught us so many things that we wouldn’t have learned otherwise; emotionally, health-wise, educationally, and even professionally. Retrospection is an amazing thing. I’ve cried and screamed and laughed over the years; each time thinking things were the worst or best that they could ever get only to realize that another moment was just around the corner. I’ve tried to tackle life only to find that life hits back even harder. I’m finally at a point where I realize that living isn’t about the past or the future, it is in the moment. If I tried to reset to an earlier point in my life, I would lose that knowledge and with it the happiness I now have in life. I still cry and scream and laugh, but I can also start the down out by listing what the positives for the day are and end the day by reviewing what I learned and can do differently the next day. I still make mistakes, sometimes big ones, but they serve to remind me that I’m living my own life. I finally know who I am and where I’m supposed to be. I guess that makes 40 just a little easier swallow. Have you ever noticed how many special needs blogs always revolve around the negative? I know I certainly have my fair share of sad, disheartening, frustrated, heartbroken, and tired posts. I started to think today about why that might be since I know personally I have had some shout-from-the-rooftop moments this week with Caden. When I start to think about how to share that news, though, I hit an immediate writing block, and I’ve been spending some time trying to figure out why that block presents itself at the same time the joys and victories present themselves. I guess I need to add a bit of a preface here; I love to write. I started this blog because I wanted a way to keep all of the kind and generous folks who helped us fundraise for Elf in the loop after fundraising was completed. Then I started to think that maybe someone somewhere might occasionally relate to or learn something from one of my experiences. And another reason, although selfish, is simply that I-Love-to-write. That love doesn’t come without fear though. Although I’m my worst critic, I still experience a flutter (or a herd) of nerves and anxiety when I hit the post button. I try really hard to keep my more controversial thoughts to myself and to only write from my experience, and yet I’m sure from time-to-time I inadvertently hurt someone’s feelings or step on someone’s toes. Interestingly it is in this vein of thought that I found my answers as to why that mental block exists when it comes to sharing the good, better, and even great news. Any day that life in our special needs family is hard, I know that someone is having an even harder day. But worse, any day that we are experiencing a victory, someone is having an unimaginably horrible day. Someone has lost a child to the same rare disease that we battle on a daily basis, but at least our children are still here for the fight. Someone’s child has experienced a significant regression and has lost all of their vocabulary and verbal voice. Someone has had to make the heart wrenching decision to consider a home or facility for their child. Someone has had to call the police because their child has grown larger and the parent is no longer able to control them. Someone’s child has wandered and rescuers haven’t located them yet. I guess I worry about sharing news like the fact my son received his first friend phone call yesterday and made his first friend phone call today because I don’t want to make friends feel bad if their child can’t talk or doesn’t yet have friends. What if sharing that he is making leaps and bounds when it comes to sounding out words, makes someone else disappointed over where their child is? And so on. Outside of the special needs world though, I don’t think friends and family often know how to respond to good news from a special needs parent. People don’t know how to respond when I share that my son can now tie his shoes (and yes I do have a video for that) when their own child learned how to do that years go. They don’t know what to say when I express gratitude and relief over getting approval for Caden’s Project Lifesaver bracelet because what parent plans to have the police department track their child as needed. And after all, unless you’ve experienced your child losing all language, how can you really appreciate or know how to respond to my glee over the fact my child with autism who lost all but 2 words just a few years ago actually asked a question when we were at the National Eagle Center a few weeks ago in a room full of strangers? I imagine that for many people even the proud and exciting news that I have to share is met with sorrow or even pity. But here’s the thing, if I’m going to truly tell Caden’s tale then the shout-from-the-rooftop moments have to be celebrated right alongside the challenges and heartbreaks. It’s only out of heartbreak and challenge that I learn how precious the victories and accomplishments are. Maybe if readers can occasionally relate to or learn from the challenges, special needs parents or friends and family members might also be able from time to time to relate to or glean hope from the accomplishments. I’m working really hard this year to try to focus on the positives as much as possible. Much to my family’s dismay, we have a memory jar on the kitchen counter in which we place the special or memorable moments of the year. That jar is filling up nicely and I’m hoping it will help remind us of sunnier days when the storms hit. After all you can’t experience the rainbow without the rain. And now for that video…….